Why Are Two Beverage Giants Interested in Greek Yogurt? Eternal rivals PepsiCo, Inc. (NYSE:PEP) and The Coca-Cola Co (NYSE:KO) have recently engaged in another fight, as both companies are looking to diversify their portfolios into the fast-growing healthy lifestyle segment. Reports have emerged about both companies holding talks to invest in Chobani LLC, a producer of yogurt. Let’s take a look at why the two beverage giants are interested in a yogurt company and which of the two hedge funds like best. But why do we track hedge fund activity? From one point of view we can argue that hedge funds are consistently underperforming when it comes to net returns over the last three years, when compared to the S&P 500. But that doesn’t mean that we should completely neglect their activity. There are various reasons behind the low hedge fund returns. Our research indicated that hedge funds’ long positions actually beat the market. In our back-tests covering the 1999-2012 period hedge funds’ top small-cap stocks edged the S&P 500 Index by double digits annually. The 15 most popular small-cap stock picks among hedge funds also bested passive index funds by around 53 percentage points over the 37-month period beginning from September 2012 (read more details here). 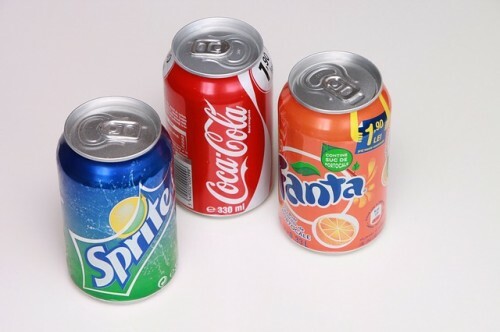 The soft drinks market has been shrinking for some time now and, with consumers replacing sugary drinks with sports drinks and carbonated water, a potential rebound of the sector is not expected anytime soon. Both Pepsi and Coca-Cola have been diversifying their portfolio into other sectors and Chobani is their latest target. According to people familiar with the matter cited by Reuters, the Greek yogurt maker is looking to sell a minority stake of up to 20%, including debt, hoping the deal would valuate the company at $3 billion. Chobani is also planning to offload some warrants held by TPG Capital LP, a private equity firm that has loaned the company $750 million last year to support its turnaround efforts. Although both soft drinks giants have been busy expanding in other lucrative sectors, especially snacks market, PepsiCo, Inc. (NYSE:PEP) can boast a larger portfolio. Both companies have some experience in the dairy sector as well, with The Coca-Cola Co (NYSE:KO) having established a joint venture with Select Milk Producers for the distribution of FairLife, a milk product, while PepsiCo has teamed up with German dairy company Theo Müller to enter the yogurt business. With Chinese and emerging markets in a slump, both beverage companies are looking for investment opportunities on the U.S. soil to reduce exposure to foreign market and currency fluctuations. On the next page, we will discuss recent financial results of the two soft drink companies and which one hedge funds like best.